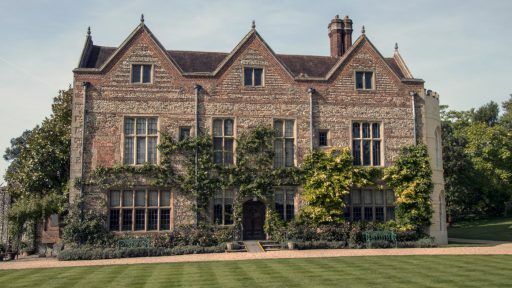 Greys Court is a fine Tudor House in the glorious Chilterns countryside only six miles from Henley, acquired by the National Trust in 1969 from the Brunner family. Mrs Valentine Fleming, mother of the famous author Ian Fleming, lived in the house between 1935 and 1937 and stripped away the stucco work, pulled down the Victorian front porch and bay windows and installed a number of new windows. The Fleming family still owns the nearby Nettlebed Estate. The house was sold in 1937 to Sir Felix John Morgan Brunner and Lady Elizabeth. While bringing up her family at Greys Court, Lady Elizabeth created a lovely garden. After coffee in the converted cowsheds we joined a guided tour of the house, which is warm with the evidence of the last owners. We enjoyed a picnic lunch in the grounds and had time for a stroll in the many-gated gardens which Lady Brunner had planned and loved.